The conservative campaign in Eastleigh is still drawing in the big guns. 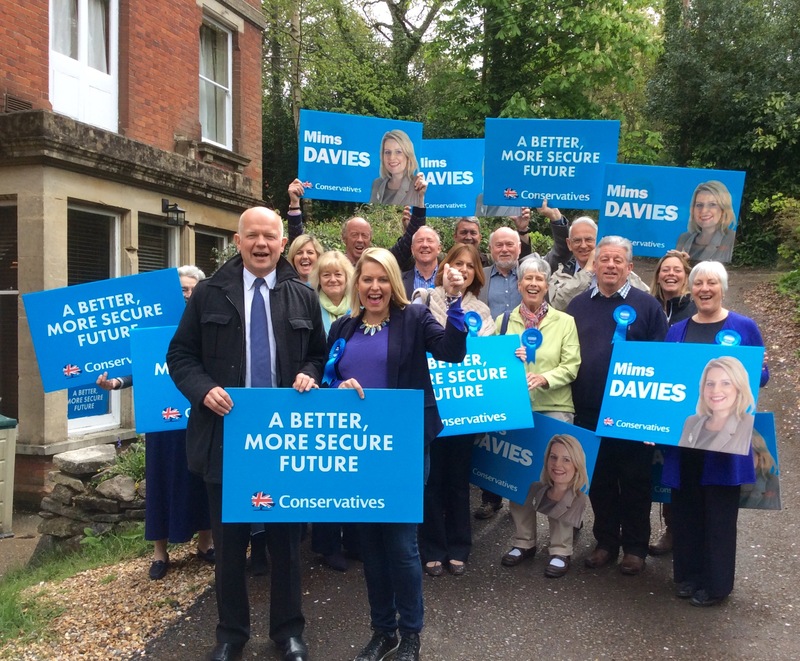 Former party leader William Hague has been canvassing in Hedge End followed the day after by the Defence Secretary Michael Fallon. In an interview at the Hedge End Conservative Club, William Hague told me these high profile visits were a measure of the importance the Conservatives have attached to winning the Eastleigh seat back from the Liberal Democrats. I asked Hague, who is retiring from politics after this election, about David Cameron’s pledge not to introduce any tax rises during the life of the next parliament – a promise that will be backed, the PM said, by legislation. “If it was a gimmick it would be easy to copy but they wont because under a labour government taxes go up for working people they keep talking about tax rises but they wont tell what tax rises. The next day it was Defence Secretary Michael Fallon to speak to local reporters while he was out doorstepping voters in West end with candidate Mims Davies. Fallon spoke to Eastleigh News about the importance of overseas aid which he said is a vital part of the UK’s overall defence strategy. Overseas spending, said the minister, can help prevent poorer countries from being radicalised against the West and it was in also in the UK’s interest that British troops should be deploye to West Africa to fight Ebola. Recently Fallon controversially described Ed Miliband as having “stabbed his brother in the back” to gain the Labour party leadership and he was no less scathing about Eastleigh’s last MP Mike Thornton who is standing for re-election on May 7. Fallon said while insisting that the local economy was recovering thanks to Conservative policies and not due to the Liberal Democrats. “A better more secure future” for whom, exactly…? You will not win on Thursday Mimms as you have made the same big mistake,as Conor Burns and Maria Hutchings.You think you can win by just campaigning in the leafy lanes of the Southern Parishes.Until the Conservatives start working the roads of Eastleigh and I don’t mean the Town center.You will never win this seat! If conservative central office had given Maria Hutchings the level of support that they’ve given Mimms then she would have won. At the by-election they were too worried about upsetting their coalition partners and so shut down Maria’s campaign and only allowed a top down imposed campaign to start after Chris the crimianl huhne had finally given up the lie of being an innocent man. Maria had planned a 12 month campaign and not the 3-4 week one we had. I totally agree with you on this John. Before her campaign she was in contact with locally reporters every day but the second the election was called she was cut off from all local media by her Tory press officer and stopped taking personal calls from such. Very sad for her as she would have been a great local MP. She would have been an excellent MP. I don’t know Mims but wish her all the best. Thank god we got rid of that village idiot.